It's not quite halfway, but it's never too early to have a tailpiece. So, are you sitting comfortably? And if so, on what, dear reader, on what? A pertinent question, perhaps even a sore point, if you remain, maybe for some time, at a chess board. Where, in short, do you park your fundament, your hunkers, your sit-me-down, you know, your tail? This murky image shows his all-in-one table/chairs/storage/colour co-ordinated chess set designed for a workers' club back in the USSR. The seat is bolted down and, without wiggle room, looks like an extremely tight sit. It casually tosses aside left-inclined principles of comfy chair design - which dictate a bottom-up approach. But, Comrades. Beat False Medievalism with the Red Wedge! Down with Right-Deviation, New Age-Escapist, Celtic-Fringed Revisionism! Big chess table with medieval design by Victoria Kijiji. 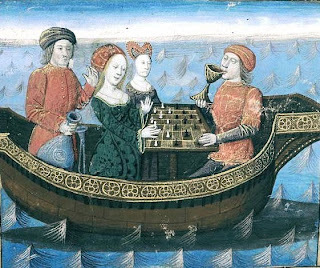 These days an ensemble such as above might do for some unfocussed wannabe Druid who prefers to watch TV while they adjust their set, but seven-hundred years ago in the real days of genuine yore they put their backs into their chess. And chess into their backs - as in this 14th-century hunk of seat (below), that your blogger chanced upon earlier this year in a delightful corner of Mallorca. In la casa at the Jardines de Alfabia. Bunyola, Mallorca. Now, the Big Question is why on earth would any furniture maker think it was 14th-century cool to have a bas-relief chess board impaling the lower vertebrae of their client, and a tree-trunk wedged between their shoulder blades? It helps to know that the characters are drugged up to the eyeballs with a love potion that today would get you arrested. 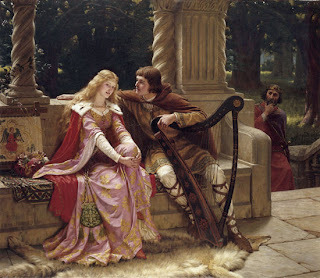 They are Tristan and Isolde. Young Tristan, as the much-told yarn has it, was entrusted by Uncle Mark with a philtre d'amour, and he was supposed to drop Isolde such a Mickey Finn as to make her compliant with the old goat's entreaties. But he disobeyed orders and the two youngsters convivially egged each other on to knock back more than the recommended dose. 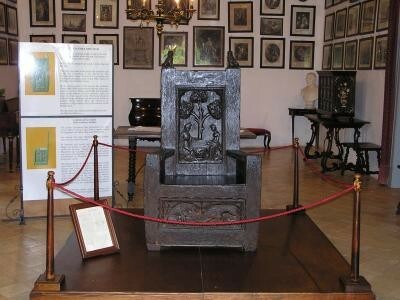 As for the chair: any 14th-century admirer prepared to plonk their tender parts into its oaken embrace might hope to be rewarded with an uplift in their libido: that the ectasy represented on the chair's upright might be absorbed by contagion, transporting the plonker to his own seventh heaven via the back of beyond. Which is fair enough, and the up-side. But what is thoroughly perplexing, and the down-side, is that our loved-up couple should spend their happy hour playing chess, of all things, and as a consequence the over-optimistic punter might rise possessed only of a depressing compulsion to try and improve his grade. Tristan et Iseult buvant le philtre d'amour. Tristan de Léonois. C14th or C15th. Bibliothèque nationale, Paris. This ancient image, contemporary maybe with Chess in Art XII, and the Alfabia chair as well, give or take the odd century or two, also shows the dipsy pair, alive on the ocean waves, hitting the bottle in the early middle-game. Note that chaperones are on duty to make sure they play the board and not the man (or woman, obviously). 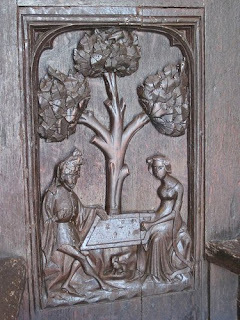 Actually, in the furniture scene, Uncle Mark is up in the tree spying on the playful couple. 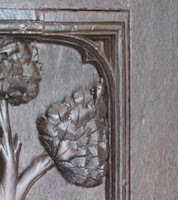 You can see him bird-like top right (detail below). So in this version of the story the chess is nothing but an artful ruse to put him off the scent. He has perched himself on the branch, not just to note Trist & Issy's TNs, but to check that they are behaving in the approved manner, that there is no hanky-panky and, as befits a game of chess properly pursued, everything is above board. Alert to the danger they'll not reveal their preparation and just play down the main line. There are many modern uses of the same story, even without mentioning Wagner. The one below has Uncle (behind you!) out of his tree and on the prowl. It is chessless. My goodness, it also shameless. Just look at that blatant brand placement. Edmund Blair Leighton (1853-1922). Private Collection. So: the travails of the regal heart and the play of the royal game; their bygone standards of courtly chivalry; our bearpit of dog-eat-dog chess politics. We can put it all in a nutshell, thus. Bona fide then, but not so FIDE now. Boom, boom! Thanks to ejh for the Chaucer reference, of which more, maybe, sometime. Rodchenko's chess table was reconstructed recently at Tate Modern. The Championships have only twice before been held in Kent, perhaps surprisingly given that they go to a seaside resort more often than not and Kent claims to have more miles of coastline than any other county in England. In fact, only one of the three trips to Kent has been a seaside job, that being the tournament held in Ramsgate in 1929. Ramsgate, what memories. I stayed in that town once, before getting a ferry in the early morning: there was a parrot in our guest house, up on the cliffs directly above the lorry park, which had learned to imitate the lorries' high-pitched and repeated beep and the message "this lorry is now reversing". It was, as I recall, a much-interrupted sleep. The 1929 Championship - the contestants' photo can be seen here - was not in fact the strongest chess tournament to take place in the town that year, the unlikely title of Kent County Congress disguising a British v Foreigners seven-board Scheveningen tournament held in March and April (games here). The locals were soundly beaten by a line-up of, in order of their scores, Capablanca, Rubinstein, Menchik, Koltanowski, Maroczy, Soultanbeieff and Znosko-Borovski, to give the spellings you can see in the tournament crosstable (with the BCF crosstable just above it) by scrolling down here. Only the last-placed Foreigner scored fewer points than the highest-placed of the British, Thomas: and he was absent from the British Championship later in the year, as was the second-placed Yates, and for that matter Sergeant too. Present, however, was Sultan Khan, who played in and won his first ever Championship. Perhaps because it has been overshadowed by the international tournament, games from the 1929 Championship seem to be hard to locate on the internet - I could find none on Chessgames - but John Saunders was kind enough to send me a number of them, which have helped enormously in the writing of this piece. Two of these are given in their entirety below. Black decided not to take on b5, an error as his king position was opened up all the same without any material compensation to show for it. Everything then fell apart surprisngly swiftly. Sultan Khan won a tense game in the fourth round against Fairhurst and then took two and a half from the next three rounds to reach 5/7. He then played, consecutively and both with Black, Price and Michell, who were to finish sharing second place, albeit Price had to win the last three games to do so. 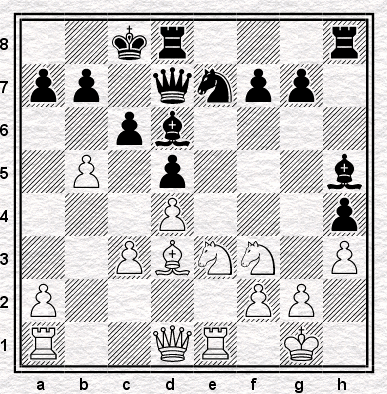 The game against Price opened 1.e4 c6 2.d4 d5 3.e5 e6?! and soon became an Advance French with White a tempo up, an advantage Price soon squandered with 6.Ne2 combined with 8.dxc5, possibly under the impression that he was getting himself Nimzowitsch-Salwe with a move up, which he was not. Sultan Khan may have known very little theory but he soon demonstrated that he understood how to play the French, answering White's unobservant 19.a3? with 19...Nxe5! 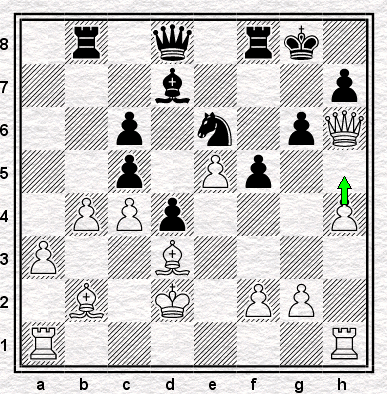 recovering the piece with an extra pawn after 20.fxe5 f4 21.Qd1 Bxc2 22.Qxc2 fxe3. The game against Michell began, remarkably enough, 1.d4 d5 2.c4 c6 3.Nf3 Nf6 4.Nc3 a6 and after they had settled down into an Exchange Slav, Sultan Khan was very much outplayed and found himself with his king uncastled in the middle of the board. When the centre was subsequently opened that might have been enough to see off the stranger but Michell unwittingly exchanged off most of his advantage when he exchanged queens. While he was still working out how to try and win the game he lost it, overlooking 38...Re5 after which his f5-pawn fell off. One of those games where, looking at if afterwards, you can never quite see either where you could have won it, or why you did not. but being obliged with a helpful stalemate when Winter thoughtlessly put his king on e3. He needed just a draw in the last round, against the back-marker Eva, to win the title, and he got it. Lucky? Quite likely. The winner is almost always lucky. But he was also alert and stubborn at the crisis of his games, and more so, perhaps, than the opponents he overcame. Michell, for his part, was 56 when their ninth round game was played. He would never finish higher than second in the Championship. He was the only player in the 1929 line-up who had played in Tunbridge Wells when the Championships went there in 1908, although Sergeant, who played the international tournament in 1929 but not the British Championship, had also been in Kent twenty-one years before. Both tournaments were, of course, all-play-alls, not the Swisses we know today, although the number of rounds remains the same. I was expecting it to be a procession. Which it was, in the end. But looking at the games, it wasn't as simple as that. The very part of the tournament in which he pulled away from the field - the four consecutive games he won between rounds five and eight - was when it might very well have gone wrong for him. If I read the games right, his was a cautious approach, waiting for his opponents to make errors allowing him to gradually ratchet up his positional advantage. (Michael Adams would perhaps appreciate that.) But a couple of times in the middle of the tournament, it very nearly failed to work out as planned. Winner of the Championship v winner of the wooden spoon: a one-sided game? 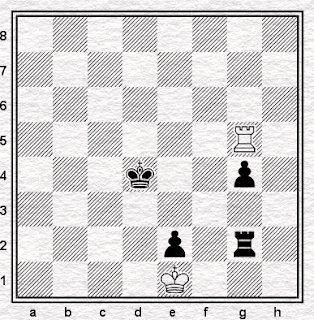 Perhaps it ought to have been, with Black controlling the centre early on and letting White's queen chase after a sacrificed pawn on the edge of the board. Black castled, then on the next move prevented White from castling. He looked forward to kicking open the centre with a view to an early finish. But after 21.Kxd2, Atkins slipped up, choosing, in the diagram position, 21...c5?! rather than the better 21...Nc5!. and now 25.h5! is trouble for Black. 25...Be8 is his best - 25...g5 and 25...Qe8 can be met with 26.g4! while if queens are exchanged on g5 Black is simply a pawn down with a horrid position - but then White has 26.hxg6 Bxg6 27.Rag1! Even after 25.f4 as played, Lean was very much in the game, but after 25...Qe7 26.h5 g5! he blundered with 27.g4? 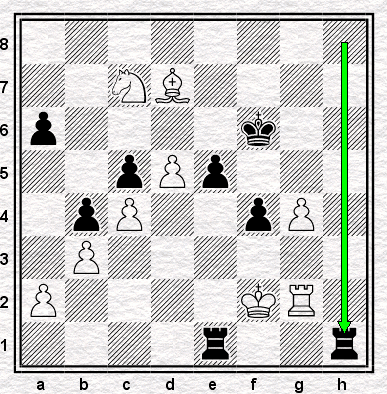 which no longer works now that ...g5 is in, because the f4 pawn is hanging. Atkins recaptured his pawn, beat off the attack and organised one of his own with 27...Nxf4. Instead, after 27.fxg5 there would have been a complicated game, which at very least is better than losing in short order. Atkins' win put him in the lead by a half a point from Gunsberg, who would lose again in round six and fade out of the running, and by a point from both Ward and Michell, who was his sixth-round opponent. As was to be the case twenty-one years later, Michell was, in retrospect, the champion's key opponent, the tough game that really should have been lost. As he would again in 1929, Michell lost a long, difficult game in which for a fair stretch he was close to winning. 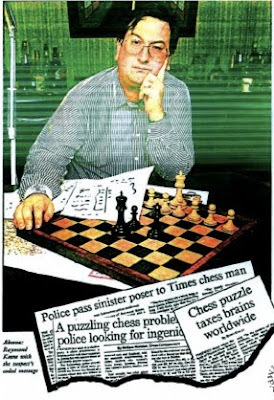 I am not a chess historian - something which will become even more apparent and perhaps more important when we look at the seventh round - and I don't know to what extent the Michell game has been analysed. There are very brief notes, scarcely more than "good move" or "bad move", in Britbase - game 31 is our game - and I do not know from what source these are drawn. Moreover, some of them are in my opinion wrong. If a thorough analysis does exist somewhere - I do have the vague feeling that I have seen the game annotated before - then I'd be glad to know of it. The notes that follow don't pretend to be anything other than shallow, and particularly in its exciting climax, this rich Ruy Lopez is a game that deserves to be analysed in depth. It began a little better for White than Black, who lost a tempo in the opening by playing Bc8-g4-c8 - only one, since White played d2-d3-d4 and perhaps not an important one given the reasonably closed position. 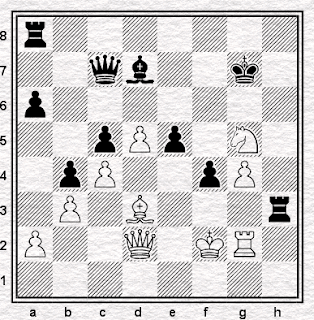 (For what it is worth, in the position after Black's fourteenth, Michell was a tempo down on the position after Ivkov's thirteenth here.) It certainly didn't turn out to be important as Atkins gave two tempi back with Nf3-h2-f3 and perhaps feeling - correctly - that while he was treading water, his opponent had been getting on with improving his position, he lashed out unwisely with 24.g4? after which Michell hopped into f4 with 24...Nf4 and after 25.Bxf4 exf4 White's dark squares and his king position in general were looking most unhappy. Michell pointed his bishop at the dark squares with 26.Nh2 Bd6 and from that point Atkins was scrambling to stay in the game. 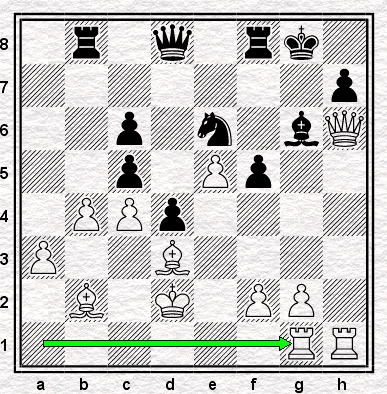 Except, that is, for a brief moment immediately after 27.Nf3 Bd7?! 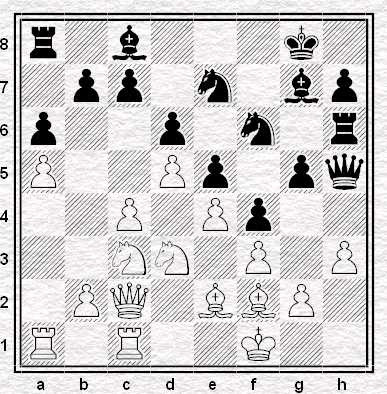 (several other moves are better including 27...f6) when Atkins continued 28.c4?! missing the tactical shot 28.e5! the point of which is that the pawn sacrifice is followed after 28...Bxe5 with the piece sacrifice 29.Bxg6! which is followed after 29...hxg6 with the exchange sacrifice 30.Rxe5! 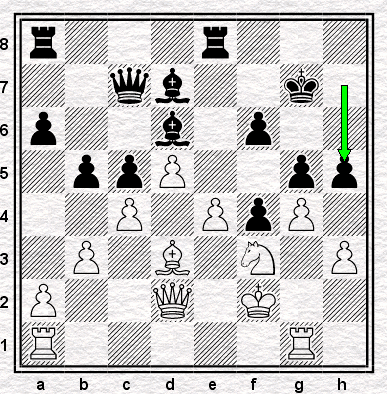 which is followed after 30...Rxe5 with 31.d6 getting back the rook that is by now the sum of his investment. It's very far from fatal for Black since after 31...Re2! 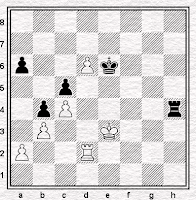 32.dxc7 Rxd2 33.Nxd2 Rc8 34.Rf1 Rxc7 35.Rxf4 I would have thought him a little better in the ending, but still, that would have been satisfactory for White compared with the game continuation. Michell now played 28...f6 cutting off the danger and solidifying the centre ready for a flank assault on White's king. Whether any actual breakthrough exists, if White plays the right moves, is a moot point. There continued 29.Kf2 Kg7 30.b3 g5 - committing to the ...h5 route, though I can't see that ...f5 is ever likely to be on - and then 31.Rg1 h5, which last our Britbase notes give an exclamation mark to, while my computer does not. It doesn't give a winning alternative, though, as opposed to just marking time and enjoying Black's edge without doing anything with it. That being so, perhaps ...h5 was indeed the best winning chance - and Michell, a point behind, surely wanted to win. However, it does seem that 32.gxh5! is clearly best here and that after, say, 32...bxc4 33.bxc4 Bxh3 34.Qc3 Black is probably forced to play 34...Be5. Now after 35.Nxe5 Rxe5 and then say 36.Be2 Bd7 37.Bf3 I think White is safe enough: Black can probe on the queenside but I do not see that a breakthrough can be organised. Atkins tried 34.Rc1 perhaps hoping for something with b4 but 34...b4 put a stop to that and after 35.Re1 White was very, very close to defeat. Black played 35...Rh3. I would love to know what the players' clocks were saying here. The position, at least, was saying - shouting - "now or never!" Black is going to play ...Rh8 and ...Be5 and win as he pleases, perhaps by threatening the g4 pawn, perhaps with a sacrifice on f3. White can lose like that or he can play a move that loses - but gives him a chance of winning. 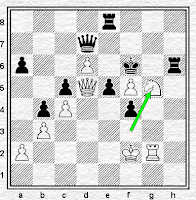 Sensing, surely, that the time for sitting tight was past, that there was nowhere left for him to sit, Atkins played 36.e5! and after 36...Bxe5 followed up with the exchange sacrifice 37.Rxe5! dxe5 38.Nxg5. 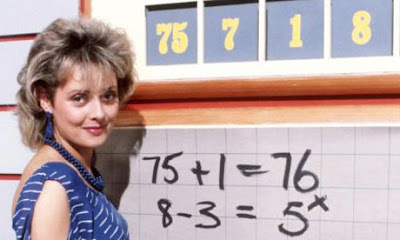 On Britbase, Michell's 35th is given a question mark and 35...Be5! preferred, presumably because it would have prevented Atkins' break. In practical terms I think this is right, and I also think that Michell probably missed it - had he seen the exchange sacrifice, he would very likely have preferred 35...Be5. He was probably winning nonetheless, although I have not yet been able to find a clear, watertight, certain win, or not one, anyway, on behalf of which I would swear an affidavit. One wonders again about the state of the clocks. Besides, two moves before the time control, possibly in a time scramble, Black suddenly found himself attacked, sacrificed against, when for the previous twenty moves the initiative had been exclusively his. Even if he was not in time pressure, this was real pressure nonetheless, a change in circumstances to which he may have found it difficult to adapt. 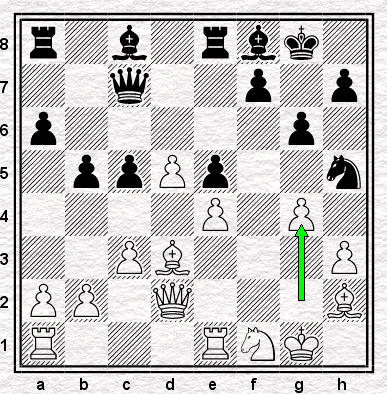 He took a step back, playing safe 38...Rh6, perhaps watching the e6 square where a knight fork might take place. It's difficult. 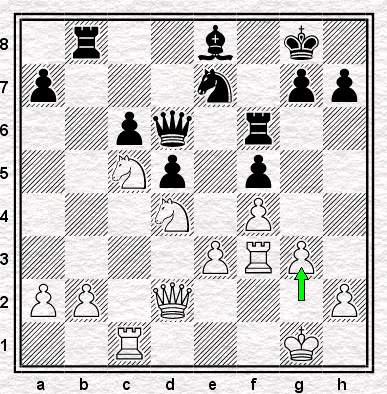 At first 38...Re3 looks strongest, not fearing 39.Bf5 because 39...Qd8! wins, but in fact 39.Rh2! forces a draw! 39...Rh8! 40.Rxh8 Kxh8 41.Qd1! and Black - check it! - has to allow a perpetual, hoping that White, with all his pieces swarming around an unprotected king, can find no better. Michell's choice may well have been best. 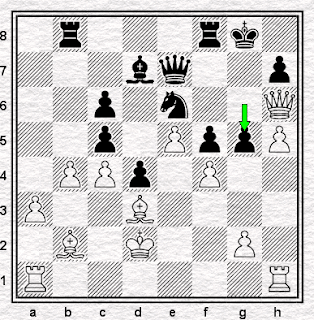 But now Atkins came forward, with 39.Bf5 and suddenly he was inside Black's position. Two moves for Michell to find before the time control. What should he do? All of a sudden there are all sorts of ideas for White, not just the knight fork but Ne4 threatening the c5-pawn and maybe g5, there is the possibility of d6 and a queen invasion on the light squares, maybe threatening the e5 pawn. What should he do? Possibly 39...Rd8, buying time because the d5 pawn will be pinned if White exchanges bishops with a view to the fork on e6, and deciding that the fork can subsequently be allowed because Black will win the ending (e.g. 40.Bxd7? Qxd7 41.Qe2 Qe7 42.Ne6 Rxe6 and wins). 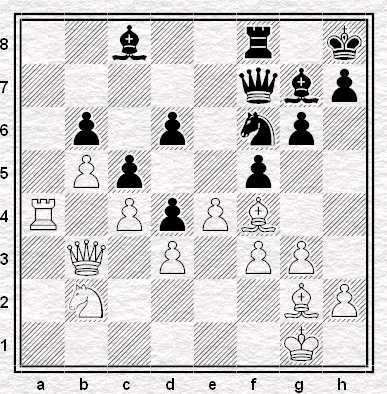 Or possibly 39...Rah8 which can lead to the remarkable variation 40.Qe1 Rh1 41.Bxd7? 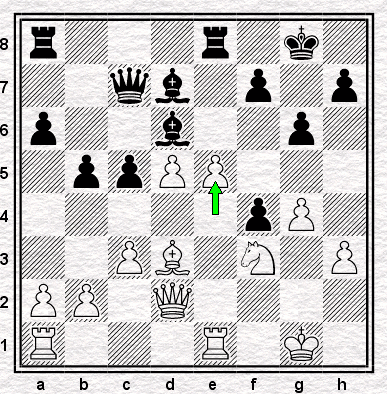 (though it looks good at first) 41...Rxe1 42.Nf6+ Kf6 43.Nxd7 Rhh1! which wins. 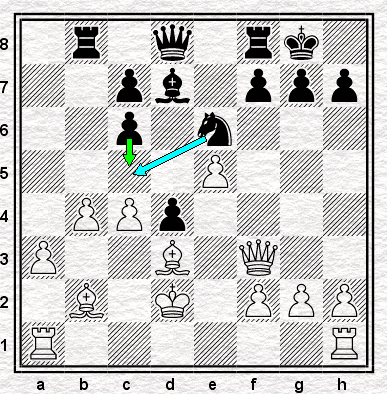 But 41.Qe4, for instance, is much better, with the game remaining up in the air. 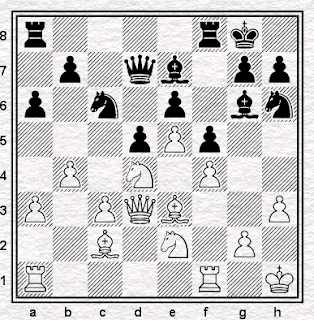 A rook move may well win, or may lead to a win, which is not necessarily the same thing. But I cannot find it for sure and neither could Michell. He tried 39...Qd8?! (question mark on Britbase - I shall be kinder) chasing off the knight. The problem was that it didn't have to go to e4, allowing 40...Qh4+. 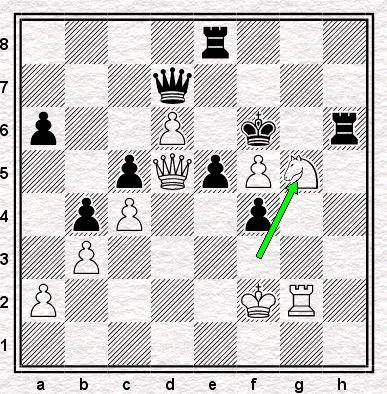 It went 40.Nf3, allowing no such thing, and menacing the e5 pawn which Black's queen had just abandoned. This position is now reversing. If there was a win on move 38 or 39, it was surely gone by move 40. Michell played 40...Bxf5?! - perhaps not seeing that after 40...Qe7 41.Bxd7? Qxd7 42.Nxe5 Black has 42...Qe7 and then either 43.Nf3 Rae8 or 43.Qb2 Qh4+ 44.Kf1 Rae8, in either instance with attack. and I think that's a draw unless either side tries too hard to win it. 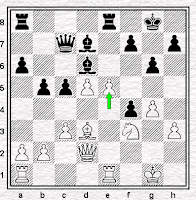 Atkins of course recaptured with 41.gxf5 and now, with the time control reached and the win no longer there, it may be that the draw was no longer available either. 41...Kf8 receives a question mark on Britbase but is 41..Kf6 actually better? White continues 42.d6 Qd7 43.Qd5 Re8 44.Ng5! 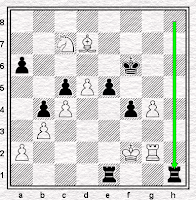 threatening 45.Ne4+ Kxf5 46.Rg5 mate. 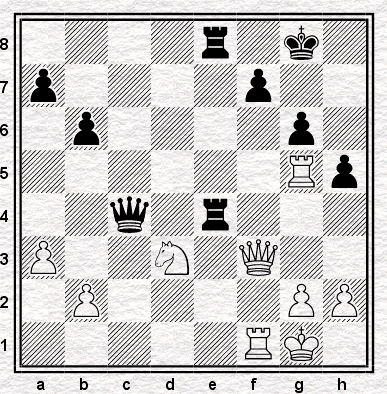 If 44...Kxf5 45.Nf7 and now if 45...Rh1 46.Qd3+ e4 47.Qd5+ Kf6 48.Qg5+ Kxf7 and White has a selection of mates in two. 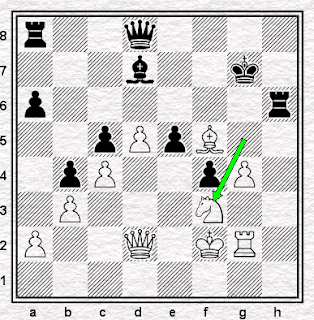 Hence "better" is 45...Rh5 after which the same manoeuvre is merely winning easily. and I think White is winning this ending. 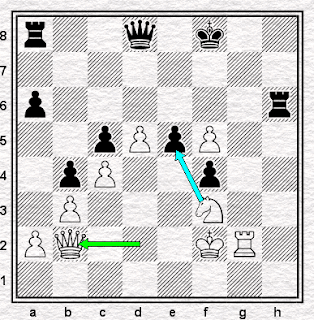 It's not at all clear that moving the king to f8 was worse than putting it on f6: both may lose. Be that as it may, White's next, 42.Qb2 was not the best, and seems to have handed back a draw that Michell didn't take. 42.Nxe5! was right, daring Black to come in with 42...Qh4+ 43.Kf3 Qh3+ 44.Kxf4 and now I think that White is probably winning after either 44...Rh5 45.Rg4 or 44...Rh4+ 45.Rg4 (not 45.Ng4?! Re8! and Black will get a draw by taking on g4 with the rook and checking with the queen) but I cannot claim to have an analysis which proves it. Instead Michell, perhaps a little tired, perhaps a touch demoralised, took off the queens and then met 44.Nxe5 with 44...Ra7? losing outright. I'm not necessarily convinced that 44...Re8 or 44...Rh5 wouldn't have given him some slight chances (and certainly some practical chances) to save the game, though investigating that really would be an analysis too far for this particular writer. 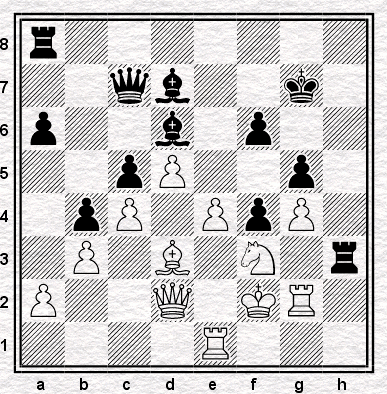 It is however obvious that the move played gave him absolutely no chance, with a worse version of the knight-against-rook than any we've so far seen: two passed pawns for the exchange, the White king active and Black king otherwise, Black's pawns utterly harmless, Black's rooks unable to threaten either knight or king or even any of White's pawns. White's king, pawns and pieces just walked towards the other side of the board until Black resigned, having no more obvious motive for playing on the last couple of moves than a very understandable sense of disbelief. But, like Sultan Khan in 1929, it was the man who coped best in the crisis who prevailed. when, Britbase (game 42) tells us, White lost on time. This is not quite as extraordinary as it sounds, once you learn that the time control at move forty was not the first, but the second of the game, the time limit being twenty moves in an hour. Even so it is a startling outcome, the game not really having started in earnest before it was over - and that not because of anything dramatic on the board itself. It makes you wonder whether there is a story behind the game - whether Ward arrived late, or forgot about his clock, or even whether he never actually lost on time and there has been some kind of transcription error. As I wrote above, I am not a chess historian. I know no more about the game than I have written here and although I have enquired elsewhere I have not been able to add to this paucity of information. But on the face of it, a bizarre and disappointing outcome to what must have been a much-anticipated game, probably the last realistic chance anybody had to reel in Atkins even though the second week had only just begun. That was it, essentially, as Ward and the rest of the field were two points behind with only four rounds to play. 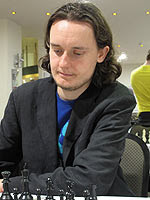 Atkins' three lucky days in the middle of the tournament had rendered the last part of it no more than a battle for second, which was eventually won by Ward on six and a half points ahead of four other players on six. Atkins, who had an easy win in round eight, lost his ninth round game to Blake, but if his luck had run out his lead had not: a tenth-round draw with Palmer (game 55) clinched him the title with, as mentioned above, a round to spare. 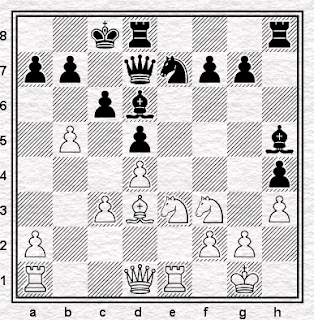 In truth a more ambitious Black might have tried harder to hurt Atkins after his passive opening. In the last round Gunsberg tried to make something of the Exchange Lopez, but having played for two results, soon settled for the one that split the point two ways. I've concentrated, to some degree, on Atkins' fortune during three consecutive crucial games in the middle of the tournament, if only because they go some way to contradict the initial view I had of the tournament. There is, I think, another way to look at it, which is that only two players found themselves swapping tactical punches with Atkins (his loss to Blake was a different sort of game, in which he was squashed without a fight) and both of those mini-brawls were decided quickly, and one-sidedly, in Atkins' favour. If players feared complications when they sat at the other side of the board from him, it may not have been without reason and it may not have been unwise of them to draw back from the prospect. Two Championships in Kent, two clear winners, Atkins by a point and a half and Sultan Khan by a point. At the time of writing that a third one-man show seems more likely than not, and perhaps this time, one just as real as apparent. If it is, then people will remember Mickey Adams at Canterbury, as they always remember winners: Sultan Khan at Ramsgate, Henry Atkins at Tunbridge Wells. But I prefer to remember Reginald Michell. Who was so close. Who like so many of us, was nearly. But never quite. Bravo. Yesterday Jack Rudd proved he is a respecter neither of GMs nor of recent interviewees of our humble blog when he added a victory over Simon Williams to the point he scored against Keith Arkell in round one. 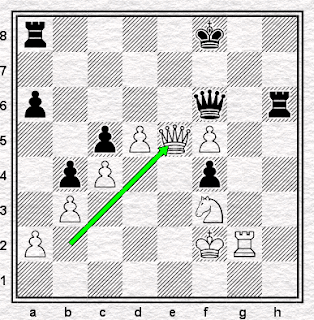 The key moment of the game came on move 19 after both players had rattled out their theory to reach the position at the head of today's post. The Ginger GM didn't pause for much thought here before playing ... Bxh3. The sacrifice looked dangerous to me at first but after Rudd had accepted the booty his king simply legged it to d2 and Black was in big trouble thereafter. Jack will be on his own from now on. The "tail" seems long this year. So said our regular visitor and contributor to the comments box RdC and he certainly seems to have the numbers on his side. The rather curious distribution of the Canterbury entrants’ playing strengths caught my interest and I have to say that in conjunction with the massive expansion in the size of the field over the last forty years it leaves me feeling a little uneasy. Why so? I’ll get to that later; first let’s examine the stats. According to the official website Mickey Adams is the highest rated entrant at Canterbury with an elo of 2706 and Jasper Tambini the lowest with 1890. To examine the spread of players’ ratings we can take the midpoint of these two figures - 2298 - and then divide these halves further in two to give us quarter points of 2502 and 2094. If the field was spread evenly along the rating spectrum we would find a similar number of players in each of these quartiles but in fact almost three-quarters of the 'contenders' for the British Championship are in the bottom half of the rating range. Actually, these figures are somewhat misleading because Adams is so far ahead of everybody else; the gap between him and second seed Nick Pert accounts for two thirds of that 1st quartile rating band. Even if we treat Mickey as an outlier and repeat the process without him, though, the overall conclusion remains the same: the championship is bottom-heavy. This is rather strange when you think about it. This is the tournament to decide the British Champion and yet even excluding Adams there are as many players at the bottom of the elo range an there are at the top. Looking at it another way, we can also see that while not even one in four (18 0f 78) of the Championship entrants are considered strong enough to qualify automatically (i.e. have a rating of 2350 or above), the tournament is stuffed with players in the lower-middle order. Twice as many of those playing in the British Championship have ratings between 2055 and 2200 than can be found in any other quartile. I quite like the British Championships the way it is. I think that it is a great chance to bridge the gap between professional players and talented/active amateurs. 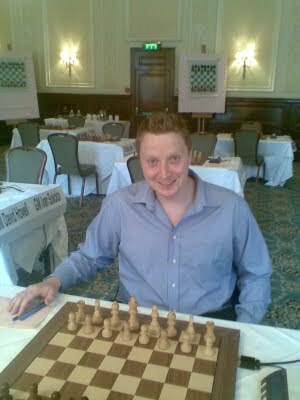 I can remember playing my first British, it was great to be able to challenge some of top players in the early rounds. It really made me want to aspire to become that strong. 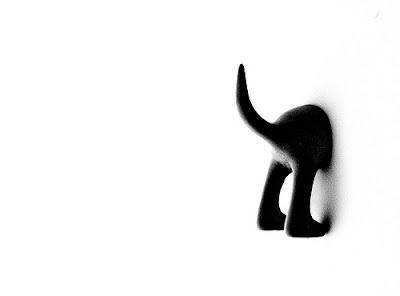 It's not difficult to see the relevance of Simon's comments to the Canterbury tail. 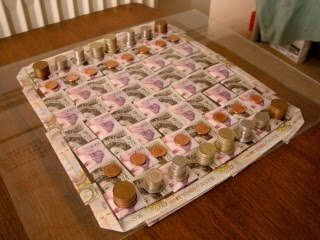 For sure playing at the British is likely to be a great boon to the development of many of those chessers at the bottom half of the field, and neither should we forget that the extra entry fees that this group generates for the organisers, but that doesn't mean that there isn't a downside. The problem is that the Championship tournament has been so busy fulfilling all the demands we've placed upon it - the need to raise revenue to fund the whole event, the need to give the lesser lights* something to aim for - that it has forgotten that its primary function is to determine the Chess Champion of Great Britain. It seems self-evident to me that 'the best playing the best' is a much better system for determining a national champion than packing a tournament with, relatively speaking, mediocre non-contenders but unfortunately what we've ended up with is far from that ideal. 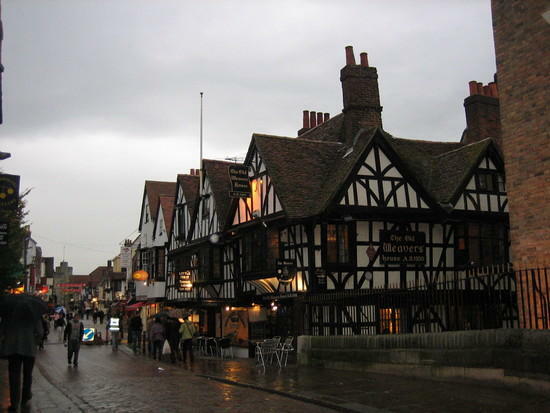 Canterbury, I'm afraid, doesn't compare very favourably to the 24-player tournament that the Americans recently organised to find their Champion. In contrast to our cousins' elite event we have a Championship in which the tail has been allowed to become more important than the dog. That's not, I fear, a situation which is sustainable in the long run. The pooch turned up late this time. Is it unthinkable that one year it might not show at all? * by whom I mean chessers who are better than me but not FMs or above. 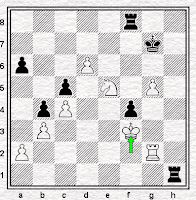 Maciol-Gormally, Canterbury, British Championship 2010, round one, position after 31....Rf8-e8. White, who is outgraded by 240 points, is winning. Indeed, the game lasts only one more move. 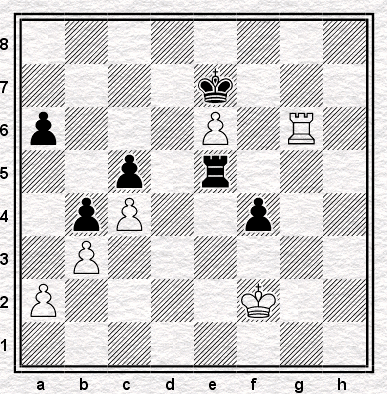 White made his 32nd move - and then resigned. was probably the worst move on the board. Try finding it yourself before you look. But, you know, he's right. It was. So, as I was saying yesterday, Michael Adams is probably not that used to playing for a win with the Black pieces. Well, it seems Mickey fancied showing me up - as if I'm not used to predictions going wrong - and he turned over Robert Eames in 21 moves. Sadly for lovers of all things old fashioned White's King's Gambit didn't work out quite as well as it did for Simon Williams against David Howell in Torquay last year. 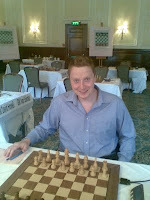 The Ginger GM also began with a win but unfortunately our other recent interviewee Keith Arkell lost rather quickly. I haven't seen the game score yet but there's a note on the tournament website that suggests that a queen might have been left en prise. Hopefully, Keith will have better luck in round two but in the meantime he can perhaps console himself with the thought that if you have to lose then perhaps it might as well be to one of the S&BC Blog's regular visitors. Fans of tardy Grandmasters will be pleased to note that both of the tournament's late entrants kicked-off with a win - Gormally beat one R. Maciol with Black and Nick Pert defeated Richard McMichael with White. 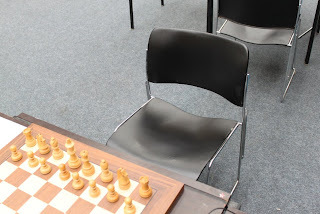 By the time the latter game was over I had discovered that Andy Martin's on-the-spot commentary was being streamed live (thanks to Eoin Devane at the EC Forum for the tip) and I was fortunate to start watching just as the victorious GM starting explaining the game. It seems he felt White was in some bother for quite a long time which is cheery news for Dutch enthusiasts of whatever hue (this one was a Stonewall) even though Black went down in the end. Talking about Pert and Gormally, their late arrival not only beefed up the top end of the tournament it also raised the total number of entrants to the championship tournament to 78. That's up a couple on Torquay, 10 higher than 2008 and well above the average since 2000 (71.8). Actually, since we're talking numbers, have a look at how things have changed over the past forty years. Yes, there have been some interesting peaks and troughs along the way but it's clear that the average number of entrants has been rising steadily across the decades. In fact, as you can see, the tournament has grown to double the size that it was in the early 1970s. going by ratings I reckon that, on a good day at least, I could give the bottom 25% or so of the field a decent game ... and I'm really not sure that it is in any of our interests that the British Championship becomes a club of which I could be a member. The British Championships kick-off in Canterbury this afternoon and since we at the S&BC Blog consider this an event worth celebrating we’re going to abandon our usual Mon-Wed-Fri-Sat schedule and publish a British-themed post every day from now until it’s all over. OK, we actually started this yesterday but today we’re beginning our coverage of the event proper with a look at the top end of the Championship – who the contenders are, who’s missing and why the late entry of some GMs as well as the complete absence of others could potentially mean very bad news indeed for British chess in the not to distant future. The big story, needless to say, is that Michael Adams is playing at the Championships for the first time for ages (by which I mean I think it's the first time since 2001 but I haven't got around to checking it). Adams, who is following in the footsteps of the likes of Ray Keene, who played at Brighton in 1982 (finishing 3rd=) after an absence of almost a decade, and Nigel Short, who waited 11 years after Swansea 1987 before coming back to win in Torquay, must be the big favourite. True, his rivals will be much more used to playing for a win with the Black pieces in the rough and tumble of a Swiss-system tournament but presumably his 200 point elo advantage over the field will more than compensate for that disadvantage. We shall see. I spend most of the year playing in "smaller" tournaments than the British, and getting paid to do so. ... last time. Mark Hebden and The Corporal will definitely be missed but this year's line-up isn't looking too bad at all as things haveturned out. It could have been quite different though; Nick Pert (2nd seed) and Danny Gormally (7th) weren't listed to play as late as Saturday afternoon. Gawain on being asked if he fancied a trip to Canterbury this year. Do these late entries matter? I rather think that they do, not so much for Canterbury but for what it might lead to in future championships. Fewer of the country’s top players means the tournament becomes less attractive to IMs and fewer of those makes it less appealing still to the untitled qualifiers – i.e. the folk whose £200 entry fees fund not just the British Championship itself but the whole two week shebang for everybody else. 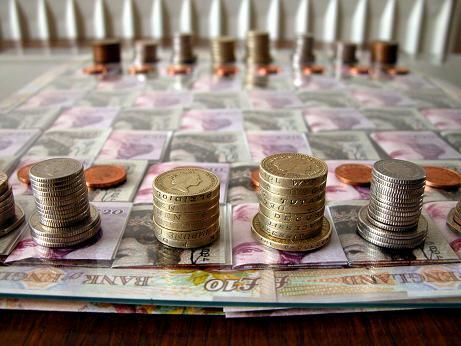 Right now there's (some) private funding around now but what happens if it disappears and the GMs who've benefited from it decide to ply their trade elsewhere? What happens if the residual prestige of the British Championship title starts to dry up and the grandmasters who entered late this year decide not to repeat the trick in the future? 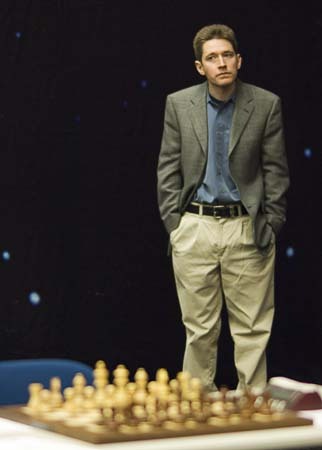 It’s hard to imagine that the 2000-2300s will continue to fork-out what would otherwise be considered to be an exorbitant sum to enter a chess tournament if (a) their chances of meeting titled opposition are drastically reduced and (b) the status of the championship as a whole is all but destroyed by the absence of the strongest players. No doubt times are hard but I hope that the ECF will make every effort to be able to provide appearance fees for Grandmasters again in 2011. If they don't I fear we may be heading for a period of decline for our Championship tournament. Enough doom and gloom - back to Canterbury. We’ll be keeping a close watch on the progress of our recent interviewees GMs Arkell and Williams [I, II, III], Adams too of course, and we also hope to be able to throw an eye witness account into the mix as well. In the meantime, good luck to anybody who's playing at Canterbury today ... and don't forget we'll be back sooner than usual. Having started with the top end of the championship, tomorrow we'll be returning with a look at the tournament as a whole. Only one man stands between a deadly assassin and a mark, a father protecting his child. Ray Keene (John Cusack) and his son embark upon a hiking holiday in order to reconnect after the death of his ex-wife. 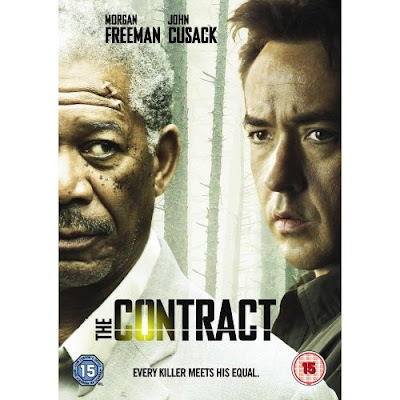 However, the pair are soon embroiled in a plot involving mercenaries, in this edge-of-the-seat, cat and mouse thriller. Who would have played Raymondo in a film about the Black Queen Murdery Mystery? That's what Superchess asked in the comments box to a previous post. Well now we know. This listing (360050669566) has been removed, or this item is not available. Fortunately there's a copy in the British Library. A chessboard. MOVE IN until we are in the centre of the game. Chess pieces, knights, kings, queens are tall around us. The figures change. They become human, stiff in armour or royal robes. And they’re menacing too, glancing sidelong at each other, weighing each other up. A fat bishop makes a move. Pawns are muddy peasants, afraid as he comes to rest. While royals and courtiers are suspicious, trying to work out the move. The menace grows. Another move. A black knight jumps his horse to land on a peasant. He slices off his head. But there’s no blood. The wound is clean, sanitised. White moves follow, a queen, a pawn, a bishop. But each time black’s reply comes quick as a whip. CLOSE IN on the white king’s eyes. He’s frightened. PULL BACK. The white king is now a man in a good suit, mobile phone in hand. He glances at his queen, another power player of the 90’s. The bishop is a media boss. A rook, a property developer. There are glances, weighings up. 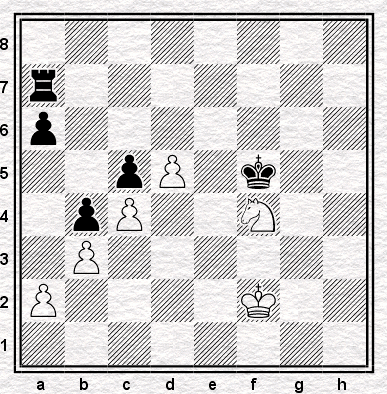 And again, white moves which are tentative. And whiplash black replies. Until the final move. A black knight, hell’s angel on a bike, leaps through the air, lands … and with a machete slices a bejeaned, tee-shirted pawn. And now there’s blood. The square a pawn is dying on is red. And it spreads out, shiny and menacing, across the board. 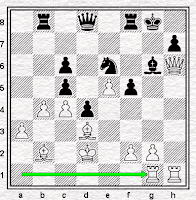 Why didn't Topalov play 3.Nc3? Webmasters of the World, Unite!